Virtue is our true wealth and the true reward of its possessor; it cannot be lost, it never deserts us until life leaves us. Here is a thing which the more it is needed the more it is rejected: and this is advice, which is unwillingly heeded by those who most need it, that is to say, by the ignorant. There is no doubt that truth bears the same relation to falsehood as light to darkness. All our knowledge is the offspring of our perceptions. Faults are more easily recognized in the works of others than in our own. The painter's work will be of little merit if he takes the painting of others as his standard, but if he studies from nature he will produce good fruits. 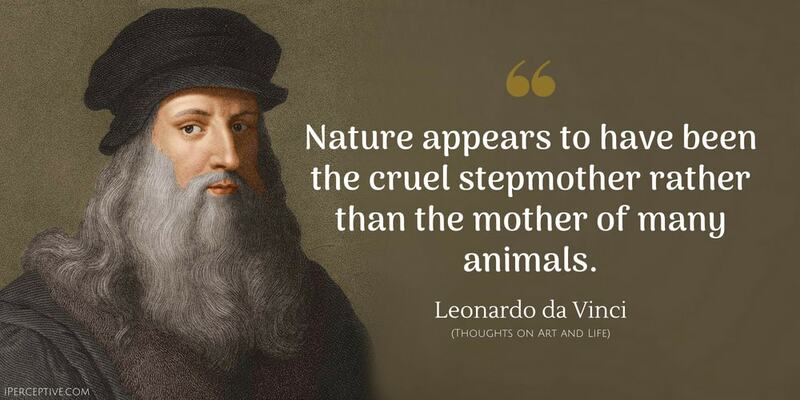 Nature appears to have been the cruel stepmother rather than the mother of many animals. There is no human experience that can be termed true science unless it can be mathematically demonstrated. And if thou sayest that the sciences which begin and end in the mind are true, this cannot be conceded, but must be denied for many reasons, and firstly because in such mental discourses experience is eliminated, and without experience there can be no certainty. To such an extent does nature delight and abound in variety that among her trees there is not one plant to be found which is exactly like another. In the first place, sculpture is dependent on certain lights, namely those from above, while a picture carries everywhere with it its own light and shade; light and shade therefore are essential to sculpture. In this respect, the sculptor is aided by the nature of the relief, which produces these of its own accord, but the painter artificially creates them by art in places where nature would normally do the like. The sculptor cannot render the difference in the varying natures of the colors of objects; painting does not fail to do so in any particular. The lines of perspective of sculptors do not seem in any way true; those of painters may appear to extend a hundred miles beyond the work itself. The effects of aerial perspective are outside the scope of sculptors' work; they can neither represent transparent bodies nor luminous bodies nor angles of reflection nor shining bodies such as mirrors and like things of glittering surface, nor mists, nor dull weather, nor an infinite number of things which I forbear to mention lest they should prove wearisome. He who sows virtue reaps glory. Experience, the interpreter between creative nature and the human race, teaches the action of nature among mortals: how under the constraint of necessity she cannot act otherwise than as reason, who steers her helm, teaches her to act. Though I may not, like them, be able to quote other authors, I shall rely on that which is much greater and more worthy - on experience, the mistress of their Masters. In the days of thy youth seek to obtain that which shall compensate the losses of thy old age. The point, being indivisible, occupies no space. That which occupies no space is nothing. That which has no limitations, has no form. Nature never breaks her laws. Science is the observation of things possible, whether present or past. Amid the vastness of the things among which we live, the existence of nothingness holds the first place; its function extends over all things that have no existence, and its essence, as regards time, lies precisely between the past and the future, and has nothing in the present. Just as courage is the danger of life, so is fear its safeguard. Not to punish evil is equivalent to authorizing it. It is ordained that to the ambitious, who derive no satisfaction from the gifts of life and the beauty of the world, life shall be a cause of suffering, and they shall possess neither the profit nor the beauty of the world. Shadow is not the absence of light, merely the obstruction of the luminous rays by an opaque body. Necessity is the theme and inventress of nature, her curb and her eternal law. That which can be lost cannot be deemed riches. 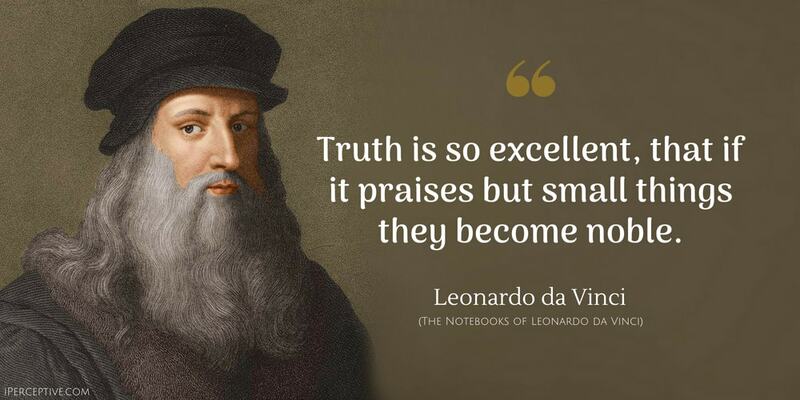 There is no doubt that truth is to falsehood as light is to darkness; and so excellent a thing is truth that even when it touches humble and lowly matters, it still incomparably exceeds the uncertainty and falsehood in which great and elevated discourses are clothed; because even if falsehood be the fifth element of our minds, notwithstanding this, truth is the supreme nourishment of the higher intellects. 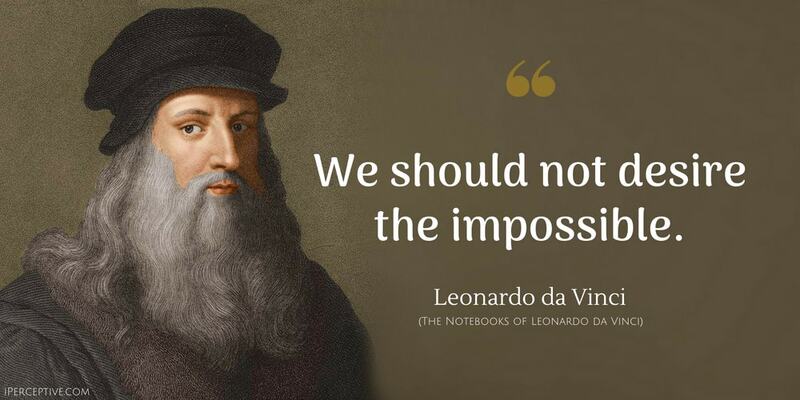 Although human ingenuity may devise various inventions which, by the help of various instruments, answer to one and the same purpose, yet will it never discover any inventions more beautiful, more simple or more practical than those of nature. 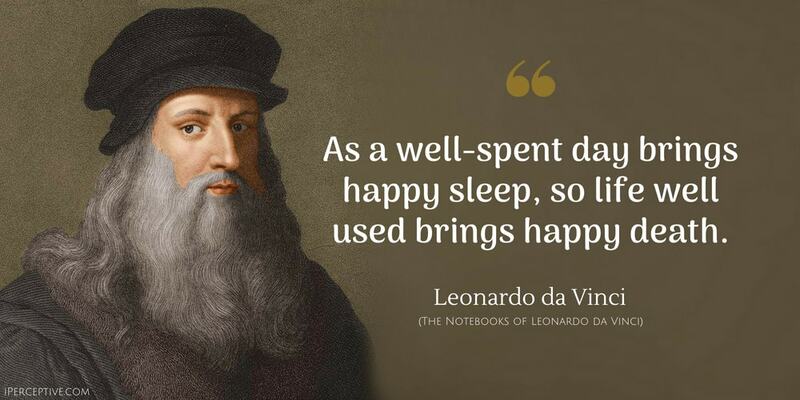 Leonardo da Vinci was an Italian polymath. He is best known for his amazing sets of skills in various fields. 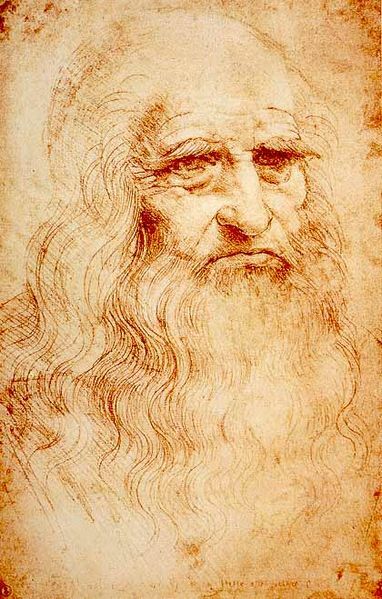 One of the greatest painters of all time and also immensly praised for everything else he had done.